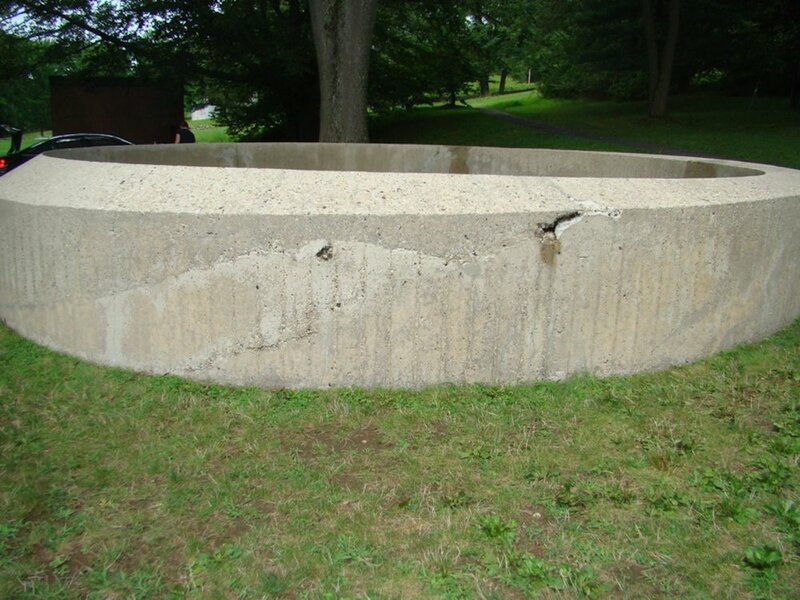 Donald Judd’s first concrete work, Untitled, 1971, was the last element added to the Glass House site’s historic core. The sculpture completes the composition of “asymmetric sliding rectangles” and “circles” that Johnson described in the first published article about the Glass House, “House at New Canaan, Connecticut,” Architectural Review, September 1950. Located at the base of the driveway and rounding the corner, Judd’s sculpture directs visitors around it and toward the entrance of the Glass House, integral to Johnson’s choreographed processional through the site. The Untitled piece by Donald Judd at The Glass House is a site specific poured-in-place concrete sculpture completed in 1971. The sculpture was heavily soiled by biological growth and had four areas of loss and several cracks which required repair. This project was design-build with ICC. ICR conducted in situ tests on the concrete to determine the most effective and compatible materials and methods for the removal of the biological growth, ferrous stains, and thick crusts. Tests were also conducted to ensure the consolidant and water repellent were effective and did not cause any adverse effects to the concrete. 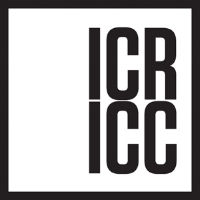 In the laboratory, ICR developed patch compounds and crack fillers for the repairs. Once the testing and design phase was completed, ICR implemented the cleaning and crack repairs and worked with craftsmen from ICC for the patching. In order to integrate the patches with the surrounding concrete, specially selected aggregate (some of which was isolated from the sculpture's original concrete) was placed in specific patterns within the surface of the patch. A final treatment of a consolidant and water repellent was then applied. The consolidant was used to stabilize the granular disintegration that was occurring at the surface of the sculpture. The water repellent was applied in order to provide some protection against the weathering effects of rainfall on the concrete, particularly of the original paste-rich layer that is extant in many areas.